That Manchester United is brimming with talent is a statement that there is no doubt about. Apart from bringing in stellar signings from other clubs, the most recent one being that of Alexis Sanchez, the side also boasts of a strong array of youth players. These youngsters are mostly graduates from their prestigious academy, and despite their talents, they more often than not have to be loaned out in order to fully develop their abilities. And now, another youngster has been handed a similar route. 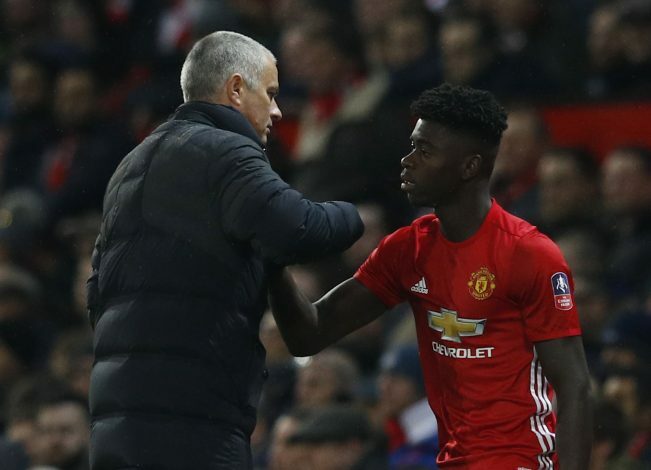 Manchester United have confirmed on their official website that Axel Tuanzebe has joined Aston Villa on loan for the remainder of this season. The 20-year-old managed to make three appearances for the first team this season, after breaking into the senior ranks last campaign. Steve Bruce’s Championship side also holds former Red Devils James Chester and Ritchie De Laet, along with another United loanee, Sam Johnstone, manning the front of their goal. This would imply that a great chance might await the lad at Old Trafford in the near future, and all he has to do is play these loan moves right and garner a style that will make him worthy for a regular spot in the Mancunian backline.